Mueller responded to a thread on Reddit from a user asking if putting content in a blockquote would prevent it from being seen as duplicate. In short, the answer is no. Google will crawl the content just as it would anything else. When Google sees a blockquote it will not disregard the content while assuming it’s from another source. That’s a good thing because maybe the author went out of their way to gather original quotes for an article. So it wouldn’t be fair to disregard all content in blockquotes. However, it will do a site no favors if a significant amount of content in a blockquote does come from another source. As Mueller says, Google doesn’t like duplicate content, but it’s not outright penalized either. That applies to duplicating entire pages or just grabbing parts of a page. Duplicate content is devalued by Google, which is different from being penalized. If a piece of content does not provide enough unique value then Google will rank it accordingly. Which is to say, it won’t be ranked very high. Google will give more weight to where the quoted content first appeared, and less weight to where it has been republished. You can easily reduce the risk of having your content devalued by having something to offer in addition to the quotes you’re providing. It’s important to balance out quoted content with your own original insight. Give something of value to readers that they wouldn’t get out of reading the quotes on their own. For example, you could quote a statement made on another website and provide a counter-argument. Or you could use quotes to support a point you’re trying to make in an article. 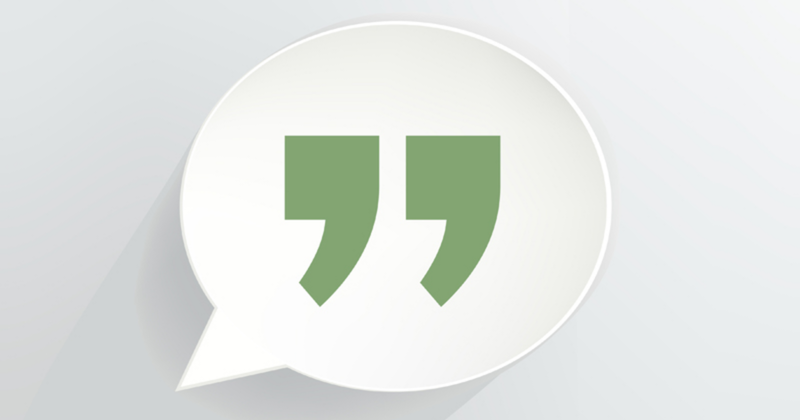 Bottom line – using a blockquote is perfectly fine, as long as it’s done tactfully.